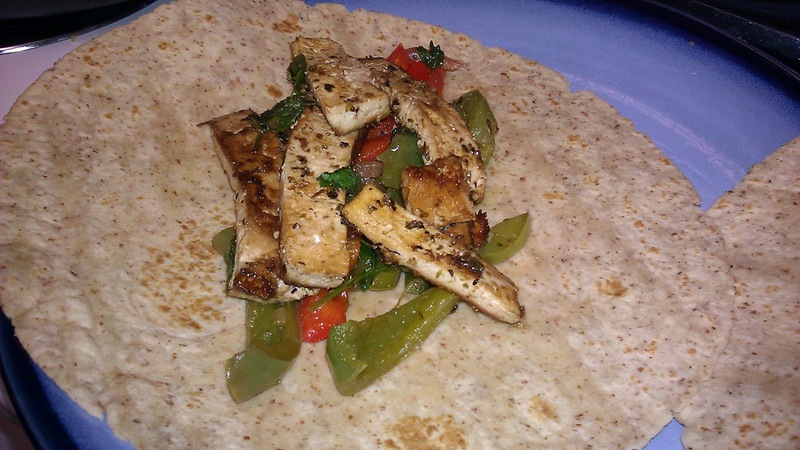 Pink at Heart Fit: Fajitas, its whats for dinner tonigh! 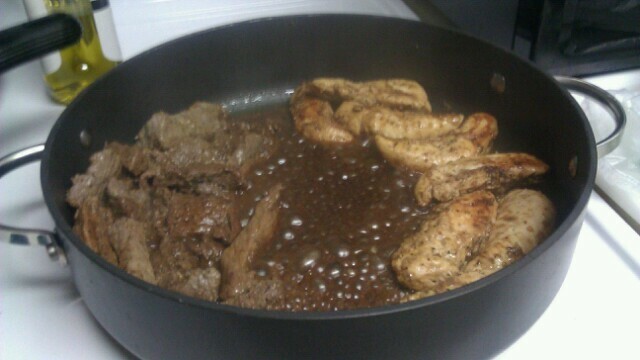 Fajitas, its whats for dinner tonigh! For Sunday's Super Bowl I made homemade guacamole. 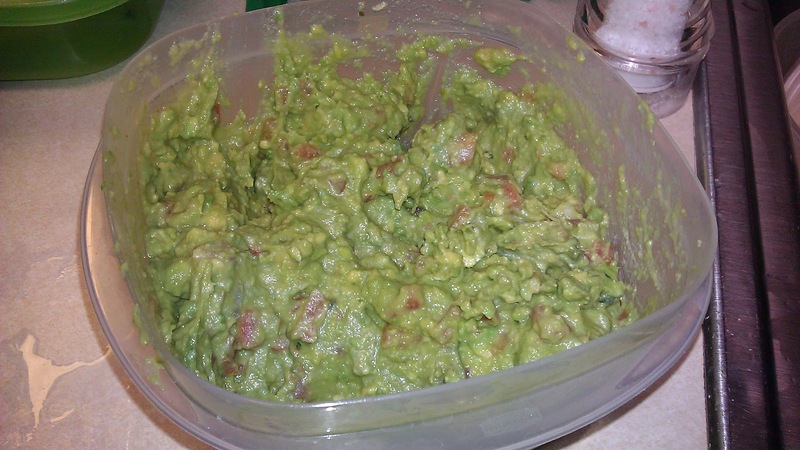 We usually just buy it (my favorite store brand is Wholly Guacamole), but it is pretty easy to make so I decided to try my hand at it, and it was a hit! It did last us through yesterday, but it appears that the desire for it outlasted the guacamole itself, as a special request for more was made by hubby today. So since I was making more guacamole, we decided to make it Fajita Night! Following Oprah's vegan challenge last week, my daughter has been making efforts to change her eating habits towards a healthier vegetarian lifestyle, so this was taken into consideration when planning out our meal. I made fajitas for all taste buds ~ beef, chicken and tofu. They were delicious (even if I say so myself)! My daughter did feel that tofu is an aquired taste, but I am proud of her for trying it and for setting her plan in motion, she inspires me. Awesome job!! 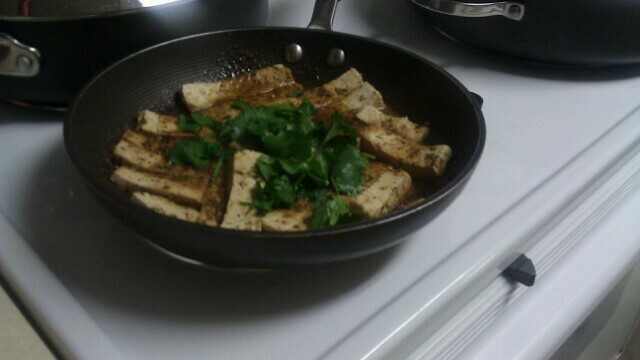 Tofu can be tricky to work with. Did you strain the 'fu? or marinade it? It makes a world of difference in the texture and flavor. When I use tofu for taco's/fajitas I use barely any oil in the pan and let it crisp up on the outside. Personally I don't like soft tofu so browning on each side works for me. Go Red for Women - Blog Your Heart Out!